The label illustration was designed by famed Lovecraftian and Rhode Island artist, Jason C. Eckhardt. Roll out the Barrel: 7% Alcohol by Volume and 30 IBUs. The Innsmouth Olde Ale draws its balanced, robust, and slightly toasted features from a complex blend of Two-Row Pale, Crystal, Cara, Dark Munich, and Chocolate malts, Chocolate rye and finishes with just a touch of Summer and East Kent Goldings hops. 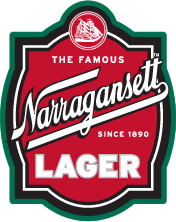 Quality Supreme: Brewed in collaboration with Sean Larkin, Head Brewmaster for Narragansett and owner of Revival Brewing, Innsmouth Olde Ale is made with a complex blend of malts and rye followed by just a touch of hops, producing a bold yet balanced English-style Olde Ale. The Innsmouth Olde Ale won both the Gold Medal at the Tastings World Beer Championships and a Silver Medal at the Great American Beer Festival! 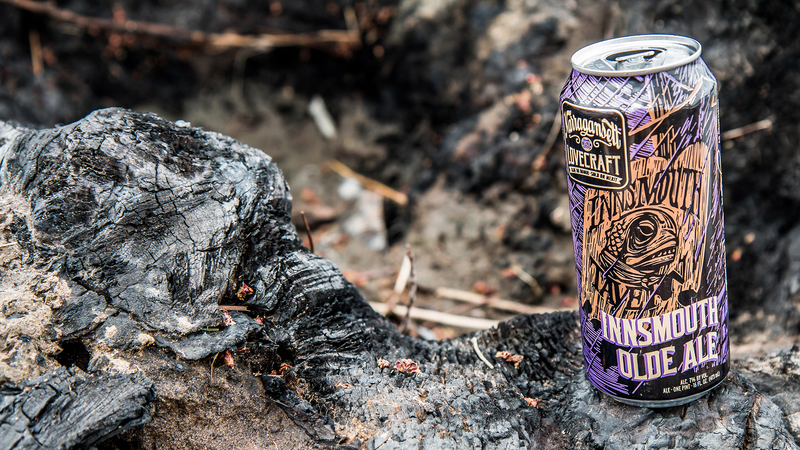 Taste & Enjoy: We created this ale as our interpretation of the select stock ales served at taverns and roadside inns both found in Olde England and Olde New England, much like how we imagine the very inn that the unnamed protagonist visits in Lovecraft’s story.